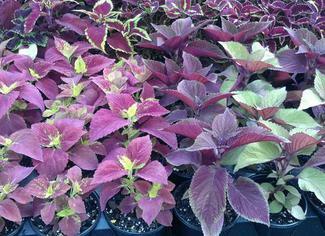 Our mission is to provide each of our customers with premium quality plants and the knowledge required to successfully install and cultivate them whether the customer is a new or experienced gardener. Our approach is unique and customer driven. Please feel free to ask our advice. Have a Beautiful Winter Season! Above pictured items currently available at farm. All pictures on this site are actual photographs taken of our own nursery stock (not downloaded pictures)..
Winter is in full swing. Cold hardy plants are the current theme. The wetter fall and winter weather this year has been great for pansies and violas. They are looking beautiful this winter. We have many well climatized selections to choose from to add a boost to your color and are happy to assist our customers. Come browse our gardens!